Hormel Foods Corporation (NYSE: HRL) today announced it has been recognized by Forbes on its World’s Best Employers 2018 list. This is the second year in a row the company has been named on the list. The Forbes World’s Best Employers list is based on Forbes’ 2018 Global 2000 rankings, which included publicly traded companies from 60 countries that together accounted for $39.1 trillion in sales, $3.2 trillion in profit, $189 trillion in assets and $56.8 trillion in market value. Forbes partnered with Statista to analyze more than 430,000 global recommendations to create the World’s Best Employers list. Employees were asked to rate their own employer and the likelihood they would recommend the company to a friend or family member. They were also asked to recommend other employers they admired. 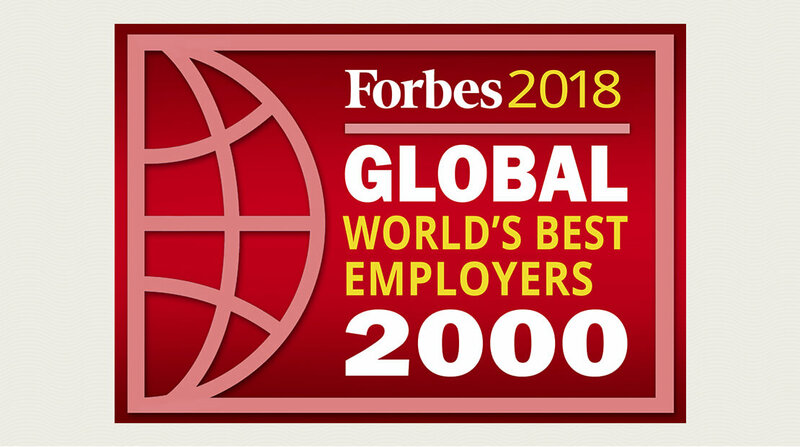 To view the complete Forbes World’s Best Employers list, visit https://www.forbes.com/sites/kristinstoller/2018/10/10/the-worlds-best-employers-2018-alphabet-leads-as-u-s-companies-dominate-list/#69351ac23382.